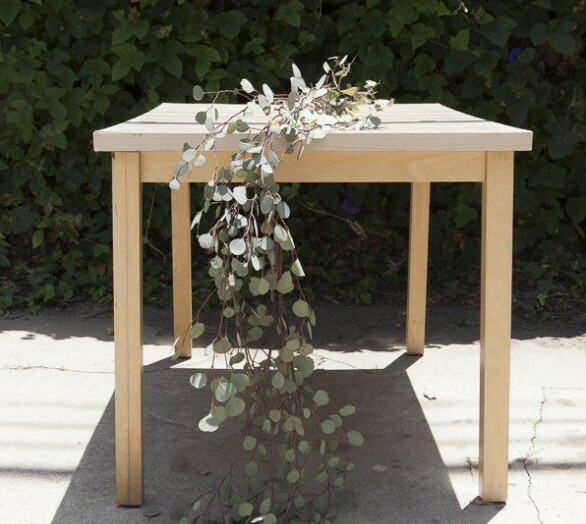 Create a fragrant table runner by taping together branches of eucalyptus! Follow the tutorial on the source to create this idea. See this idea with flowers added to the eucalyptus runner. See a tutorial for this idea using seeded eucalyptus and pomegranates to make the runner.